Thank you very much for your interest in our firm and the Precious Metals products and services we offer. International Bullion Exchange LLC (“IBX”) is a Dealer/Facilitator of investment grade coins and diamonds, including sales, delivery and safe storage. We are also dedicated to providing our clients with up-to-the-minute world-wide news pertinent to precious metals and diamonds, in an effort to keep our clients updated and to facilitate timely orders for both purchase and sale. Knowledge is power, especially in this ever changing world we live in today. IBX wants to be your only precious metals and diamonds dealer, and we promise to earn that privilege everyday of our business relationship. 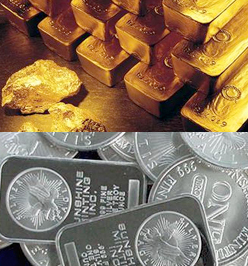 International Bullion Exchange is known the world over as a leading provider of coins, bullion, Investment Grade Diamonds and Precious Metals IRAs. Whatever your financial goals may be, we believe that precious metals and Investment Grade Diamonds, with their proven record of performance, should be a part of your financial future. We will assist you in determining the best way for you to purchase precious metals or diamonds according to your financial situation and temperament. Whether it’s an outright purchase of precious metals or Investment Grade Diamonds, a Precious Metals IRA, or our Orion Program, IBX is ready to follow your instructions. If we send you information, we may include the necessary documents to open an account. It may also be a good idea to begin the process of opening an account by visiting our online account application area, where you can sign up online and make copies of all new account documents for your records. Timing can be everything in both the purchase and sale of precious metals. Be ready when the timing is right by opening your account today!